Reese Witherspoon stars as a single mum in crisis in this US romantic comedy written and directed by Hallie Meyers-Shyer. After separating up from her husband Austen (Michael Sheen), Alice Kinney (Witherspoon) leaves New York and moves back to her childhood home in LA. With two kids to take care of, Alice tries to launch a career as a freelance interior designer, a path that leads her to meet young, aspiring film-maker Harry (Pico Alexander) while out celebrating her 40th birthday. 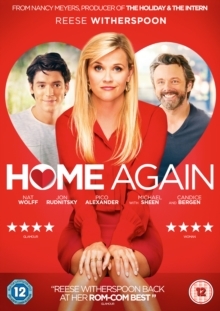 The pair start dating and Alice invites Harry and his collaborators writer George (Jon Rudnitsky) and actor Teddy (Nat Wolff) to move into her guest house, where they are welcomed with open arms and bring some unexpected consequences for Alice and her family.